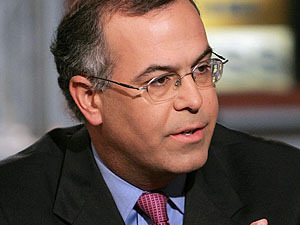 I’m generally pretty well disposed toward David Brooks. We wouldn’t run the country the same way, but he’s not a zealot and he’s usually not boring. For a biweekly columnist, that’s not bad. Anxiety is now pervasive….The public’s view of Congress, which ticked upward for a time, has plummeted….There are also warning signs in the Senate….The public has soured on Obama’s policy proposals….Driven by this general anxiety, and by specific concerns, public opposition to health care reform is now steady and stable. Independents once solidly supported reform. Now they have swung against it. Etc. You’d think that Obama had been working in a vacuum or something. There’s not even the briefest mention of the primary cause for all this: the deliberate decision by the Republican Party to hand over the reins to its most extreme wing and adopt a scorched earth counterattack to Obama’s entire agenda. He agreed to cut the stimulus package by $100 billion and put 40% of it into tax cuts. That cut no ice. Democrats proposed a cap-and-trade proposal for reducing greenhouse gas emissions because it uses market mechanisms instead of crude command-and-control directives — and then adopted hundreds of compromises to water it down. Didn’t matter. Max Baucus has been “negotiating” over healthcare reform with Republicans in the Senate for months and Obama has been careful not to criticize. But that turned out to be a charade. Tim Geithner’s financial bailout plan was limited and business friendly. No matter. Independents haven’t “swung against” healthcare reform. They’ve been the target of a massive campaign of lies and demagoguery. Brooks says that Obama needs to embrace “fiscal responsibility, individual choice and decentralized authority,” but every time he’s done that it’s gotten him nowhere. In fact, just the opposite: for the most part these proposals just invite blistering counterattacks from supposedly conservative Republicans. And contra Brooks, Obama hasn’t moved to the left. He’s done almost exactly what he said he’d do during the campaign — sometimes to my chagrin. So what accounts for an entire column on this subject that doesn’t even mention the Republican opposition? Beats me. I guess Brooks just finally got tired of reading pieces like this.